Vancouver, B.C., Canada – September 19, 2018 – Deep-South Resources Inc. ("Deep-South" or “the Company") (TSX-V: DSM) announces that it has amended the agreement (the “Agreement”), previously announced on June 19, 2018, to acquire 75% of RCR Quantum (“Quantum”), a Turkish company, which holds the Kapili Tepe project (“Project”) comprising of one (1) mining license and two (2) exploration licenses in the Sivas Province in the North Central part of Turkey. Furthermore, Deep-South has not amended the agreement to acquire all the exploration and metallurgical data from Afrasia Mining & Energy Investment Holdings Ltd (“Afrasia”). Deep-South has also completed its due diligence of the Project and of Quantum and will close the acquisition upon receiving the approval from the TSX Venture Exchange. The Amended Agreement is conditional to the approval of the TSX Venture Exchange. All securities issued to The Seller pursuant to the Agreement will be subject to a holding period of four months and a day from the date of issuance. The TSX Venture Exchange has approved the Agreement with Afrasia and the transaction will close concurrently to the closing of the agreement with the seller of Quantum. All securities issued to Afrasia pursuant to the Agreement will be subject to a holding period of four months and a day from the date of issuance. In SEZ RCR has also conducted surface channel sampling over a 60m wide zone of outcropping copper mineralisation within listvenite exposures. The sampling was undertaken in the form of continuous 2 m channel samples as well as a 25-tonne bulk sample for process metallurgical test works. The channel samples were sent for mineralization study and preliminary metallurgical test work in South Africa at 3 independent laboratories and these tests were significantly indicative of both the strong poly-metallic nature of the mineralization for base & precious metals, as well as best potential process route. Mineral Resources have not been estimated yet on the project nor has it demonstrated economic viability at this stage. 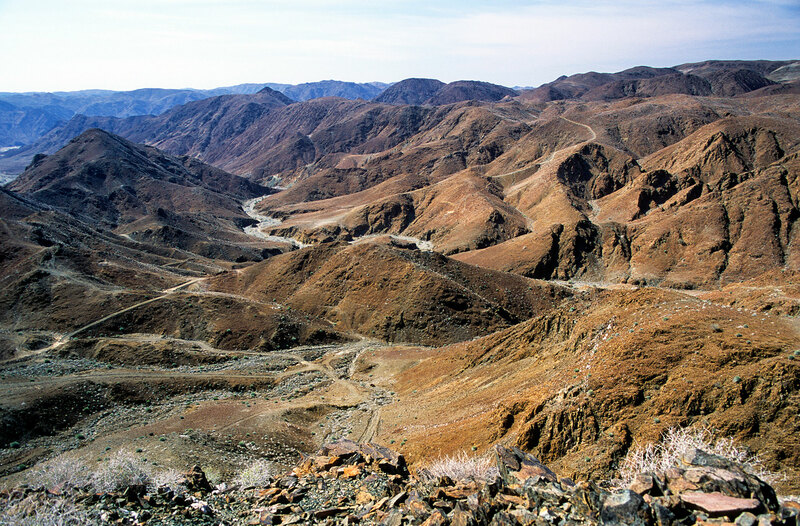 The historical drilling and sampling results demonstrate potential to classify the project as one of merit but are considered too speculative geologically to complete a NI 43-101 resource estimation at this time and it is uncertain that those historic results will be converted into minerals resources. Alan M. Clegg was President & CEO of Red Crescent Resources Ltd (RCR) and was supervising the exploration project and was a qualified person for Red Crescent. Data verification and exploration results reported by RCR were all filed on SEDAR and were verified by the qualified person of RCR. MSA Group of South Africa were contracted by RCR to manage the field exploration programs and were responsible for the data verification, including sampling, analytical and test data. As such Alan M. Clegg verified the underlying information contained in this press release. The data and information from Falconbridge reports has not been fully verified but MSA Group was able to verify the geophysical surveying data and soil and rock chip sampling under custody at the Minister of Energy and Natural Resources of Turkey. Tests such as XRF Grade measurements have enabled to validate the assays results. MSA were contracted by RCR and their work was verified by Alan Clegg. MSA nor than Alan Clegg have reported any limitation or failure in the data disclosed in this press release. However, the historical work and results, such has drilling results by Flaconbridge, that have not been verified by MSA Group or Alan Clegg are not reported in this press release.